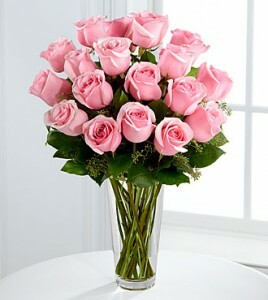 Picture-perfect soft pink roses make a beautiful gift for the lovely lady in your life. 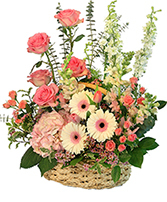 Wife, mother, daughter or sweetheart, she's sure to cherish this bouquet of pastel pink roses accented with seeded eucalyptus and arranged in a clear glass vase. 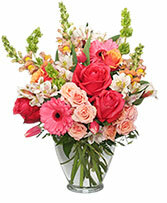 12, 18 or 24 roses hand designed and delivered by Enchanted Florist of Cape Coral. 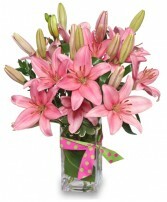 Your purchase includes a complimentary personalized gift message.